The TreeVolution has arrived! 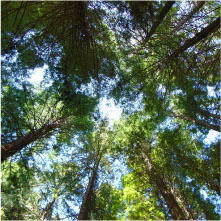 Join with iTrees.com and the Arbor Day Foundation as we try and help replant our nation's forests. Our forests provide wildlife habitat, natural beauty and recreational opportunities. They filter our air and water, help fight climate change, and provide countless other benefits. Our forests are absolutely vital to life as we know it, and they need our help. Now you can help support critical efforts to revitalize not only our national forests but forests around the globe. 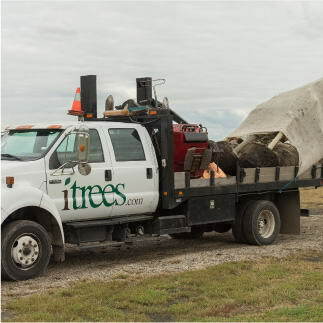 Starting in 2017, for every tree purchased from iTrees.com, we will donate one tree to be planted in our national forests. We have been inspired by the Arbor Day Foundation and want to do our part to help be a part of the solution, after all, Trees are the Answer! 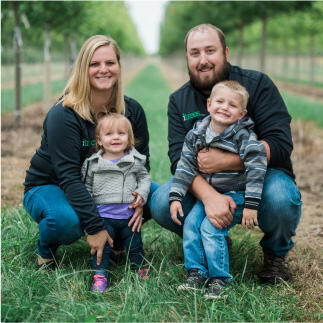 We hope that our customers will be inspired to join the Arbor Day Foundation, and give back even more by supporting one of their many wonderful programs. Over the last several years tornadoes have devastated our local communities of Coal City and Diamond IL. 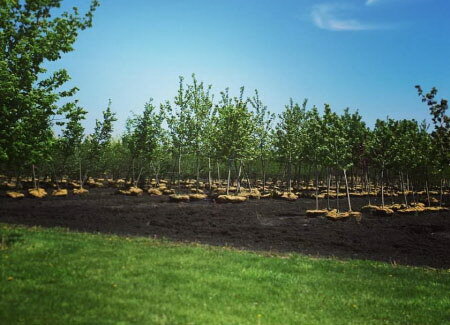 We are proud to offer our Coal City Green program, which provides residents of these communities with a 20% discount on trees, as well as provides these communities with free trees that can be planted all over town. 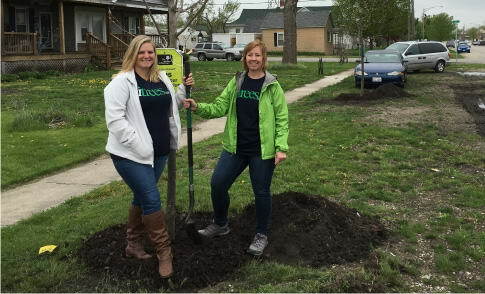 In addition to replanting Broadway street, we have donated and planted all across the community. 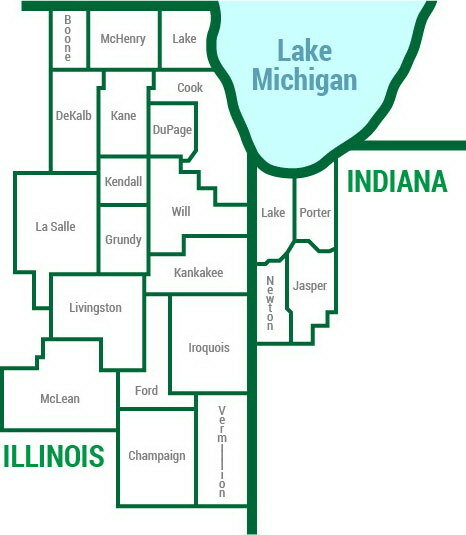 Click Here for More Information on our Coal City Green Program! 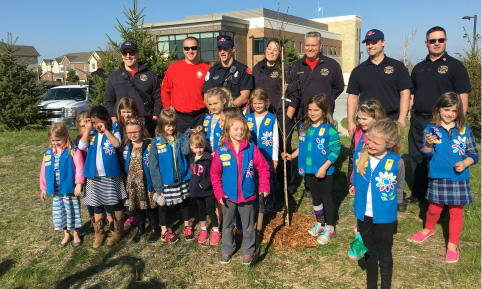 Every year we are proud to donate trees, time, and money to a variety of different organizations and charities supporting our local communities. Some of the organizations we donate to and support include: YMCA, Grundy County 4H Extension and Farm Bureau, Morris Lions Club, Habitat For Humanity, Seneca FFA Alumni and the Thomas Jeschke Agricultural Opportunity Fund, Girl Scouts, and countless other organizations. Click here for more information on some of the charities we support! 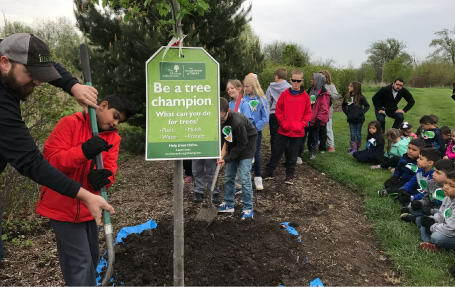 Arbor Day is a great opportunity to help inform people about how important trees are. 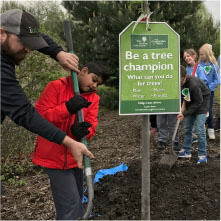 Every year we spend Arbor Day with elementary school students teaching them the importance of trees in our communities and forests, showing them how to plant trees correctly, and providing them with lesson plans and activities about trees. If you are interested in participating in our Trees Rock! Program please let us know. 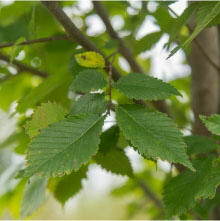 Click here for more information on our annual Arbor Day tree planting projects! In addition to our Coal City Green program. 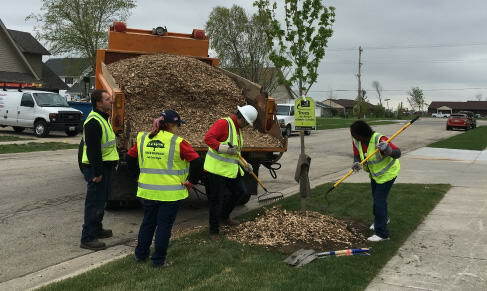 We partnered with ComEd and Spring Grove Nursery to plant hundreds of trees across the Coal City community after the devastating tornado of 2015. We were proud to be a part of such a big project and the overwhelming support of the community and our partners. We love the Tree City USA and Tree Campus USA programs, which is yet another fantastic program through the Arbor Day Foundation. 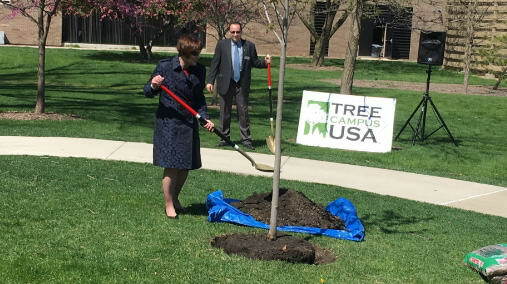 We actively participate in, and donate to, the Tree Campus USA program at Waubonsee Community College in Sugar Grove, IL- and are working with several cities and towns to try and help them become a Tree City USA! Click here to learn more about our involvement! 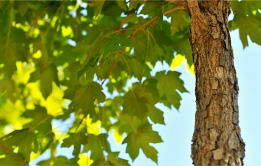 Click here to get more information about the Tree City USA Program!